With increasing popularity of online shopping, more and more businesses, regardless of their size and structure are creating websites to reach their targeted market. For that purpose, they spend a lot of money and a lot of effort in order to increase their sales. But now, help is at hand with Wix, an online company that offers a vast range of tools to create and maintain awesome websites in minutes; this organization has invented amazing design intelligence software that enables business owners to build a customized and awesome website within few minutes and start selling. This website builder created by Wix is not an ordinary website building tool. This has the real power of machine learning and analytics behind it. The artificial intelligence software powering this site builder has learned from thousands of high quality converting sites and uses its knowledge to build better a unique website for almost any business niche. The main focus of the founders of the company was to offer a stunning, functional and professional web presence where there is no coding and no creative limitation. Wix developed a huge range of templates and apps to assist users with creating beautiful and functional sites without any web development experience. The global user base of the company, as well as unparalleled design capabilities, create a unique ecosystem for users who can market their products and services. AI or Artificial Intelligence can be broadly defined as an area of computer science and engineering that emphasizes the creation of intelligent machines as well as intelligent computer programs. The intention of artificial intelligence research is to create computer programs in various fields such as speech recognition, learning, planning and problem resolution. The best example of artificial intelligence is interactive software. Further, the main focus of developing AI or artificial intelligence is to create machines that function and react like human beings. One of the best examples in this regard is the software created and launched by this organization. 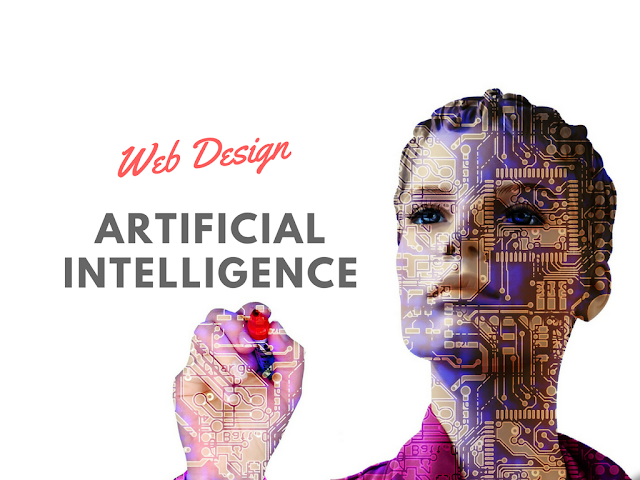 The main focus of Wix is to come up with the best design option for any particular business need and to help make this easier the team has used the power of artificial intelligence. As each business is unique, Wix ADI offers a beautiful and one of a kind design for any business. All you need to do is to answer some questions and AI software offers you the best choice related to the website. What Is There in ADI For Me? It is a fact that the main priority of a user while creating a website is the impression of the customer. The website should be stunning, easy to navigate and offer extensive information, as these qualities enable them to reach their niche market and increase their sales. This AI software understands these issues and ensures a smooth functioning and saves your time as well as effort. Why A Website Builder Is A Better Choice For Website? Saves time – The creation of a professional website can often take between 15 days to 2 months, however with this website builder all you have to do is to answer some questions and it is ready. Quality website – For creating a professional website, you need the help of experts, but with Wix website builder, you can create and modify for building a quality and customised website. Affordable – As the website charges of Wix are nominal, each and every business can afford it. Secure and low maintenance – With the latest security updates, your website remains secure and is maintained regularly without much effort from your end. There are many reasons why Wix remains the best option for your business website, for instance, this website is ranked among the most trusted website builders on the internet that offers facilities such as unlimited customization options for every type of business, and provides thousands of templates for you. In addition, this software offers built-in features for supporting e-commerce business. As an increasing number of companies are looking for an online marketplace where they can upload their products and services, this software offers an inexpensive tool for showcasing products and services online, where businesses can customize their platform as well. With its simple interface, which packs in loads of customizable features, the popularity of this cloud-based website development platform is increasing exponentially. The drag and drop tools are fool-proof, allowing users to seamlessly create professional HTML5 and mobile websites in a jiffy. This is why businesses are finding switching to Wix a smart choice.